Are you planning to donate real estate to charity? The tax law allows you to claim deductions, within generous limits, for giving property to qualified charitable organizations. But you have to meet strict requirements, including the necessity to obtain an independent appraisal for property valued at more than $5,000. In fact, in a recent case, a taxpayer who donated real estate worth approximately $18 million failed to provide the required appraisal, and after an audit, the IRS challenged his charitable deductions. The Tax Court’s verdict? His deduction was zero! If you donate property that has gained value, the deductible amount is equal to the fair market value (FMV) of the property at the time of the donation, as long as you’ve owned it for more than one year. 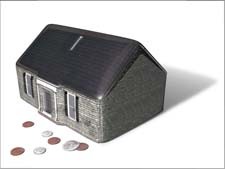 For shorter-term gifts of property, the deduction is limited to your “basis” (usually, what you paid for it). However, the IRS requires you to jump through a few hoops before you can pocket any tax deductions. When you file your tax return, you must include a detailed description and other information for property valued at more than $500. Also, if you claim the FMV is more than $5,000, you must obtain a written appraisal of its worth. In the case of the above disallowed deduction, Mr. Mohamed was a prominent entrepreneur, real estate broker, and certified real estate appraiser. He donated several parcels of property to a charitable remainder trust during a two-year period. When he completed his tax returns for those two years, he attached Form 8283 (Noncash Charitable Contributions). Based on his own appraisals, the total FMV of the properties exceeded $14 million (although his initial deduction was “only” $3.8 million due to the AGI limits). But Mohamed didn’t read the form’s instructions explaining that self-appraisals aren’t permitted. He also omitted important information such as the basis of the properties. The IRS challenged the deductions. When Mohamed appealed to the Tax Court, the IRS disallowed the entire deduction, despite subsequent independent appraisals establishing the total FMV at more than $18 million. In the end, the Tax Court agreed with the IRS, although it acknowledged the result was harsh. The moral of this story is that if you donate appreciated property, you need to make sure you observe the strict letter of the law. What Is Safe For You To Put Into A Safe Deposit Box? Will Your Retirement Assets Last?